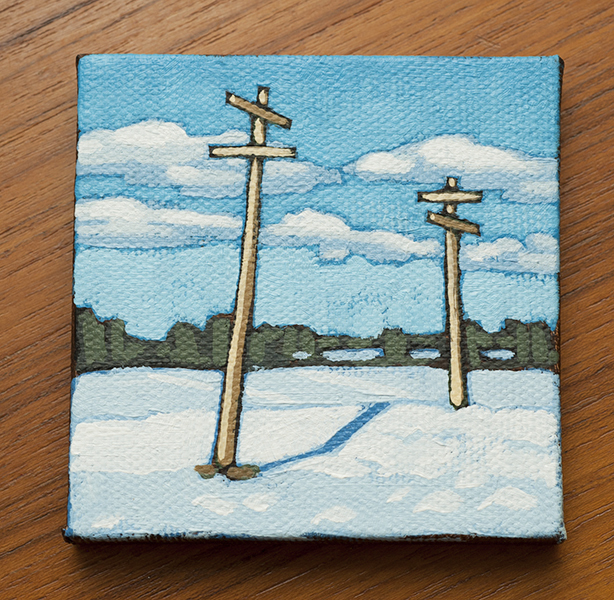 I don’t usually name these small paintings, but it’s 8 days until Christmas and I couldn’t resist. Since many of these will be given as Christmas gifts, I decided to make some that are appropriate for the season. 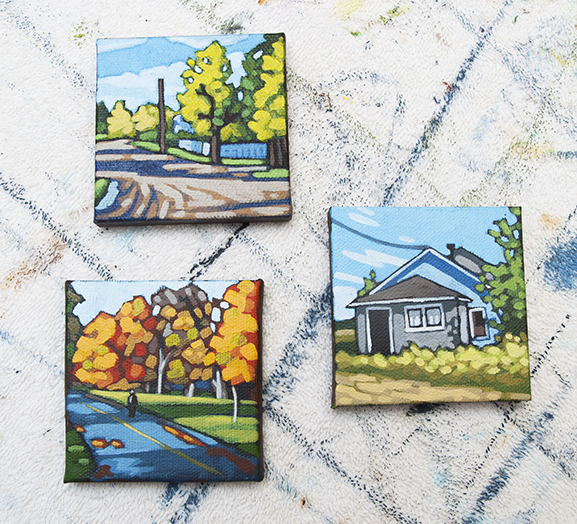 Once again I am working on these little 3 inch paintings, perfect for gift giving. I really enjoy them because they are quick and give me a break from my larger “serious” paintings. They remind me that painting should be fun. They also work as little studies for large paintings later on. I’ll be focusing on these until Christmas. 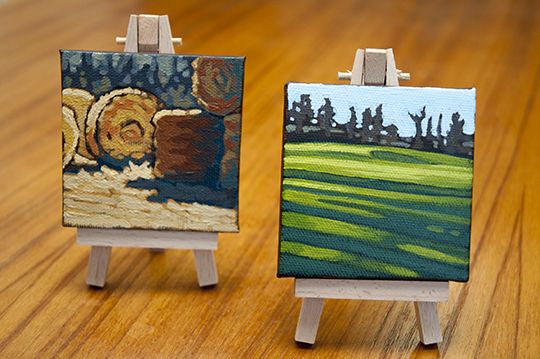 ‘Tis the season again for tiny paintings. 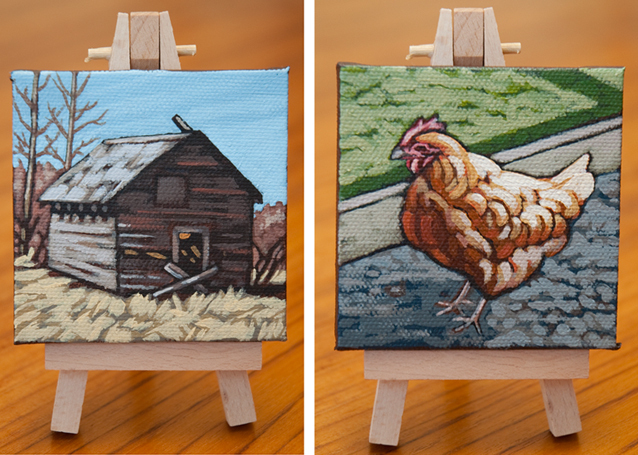 It’s fun to do these 3″ x 3″ canvases any time, but they are very handy to have around during the Christmas season. In the next few weeks I will be focused on cranking out lots of these. If you think anyone on your Christmas list might like one, please get in touch! 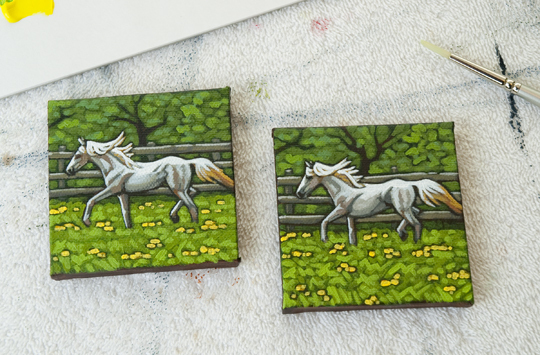 White Horse - Tiny Painting, 3" x 3"
I would love to be running through a sunny field of flowers right now. During my run today, I experienced snow, hail, rain and wind. Is anyone else as ready for summer as I am? I guess I will just keep painting it until it arrives. 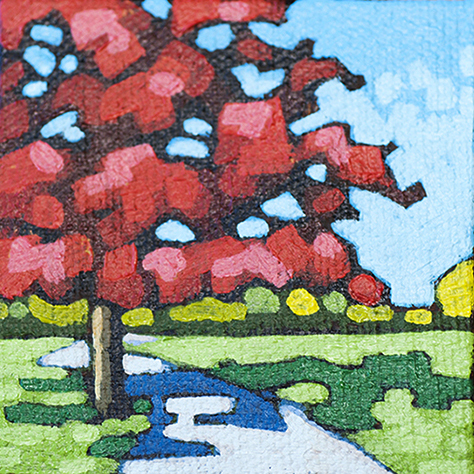 Here are a couple more small paintings – 3” x 3”. 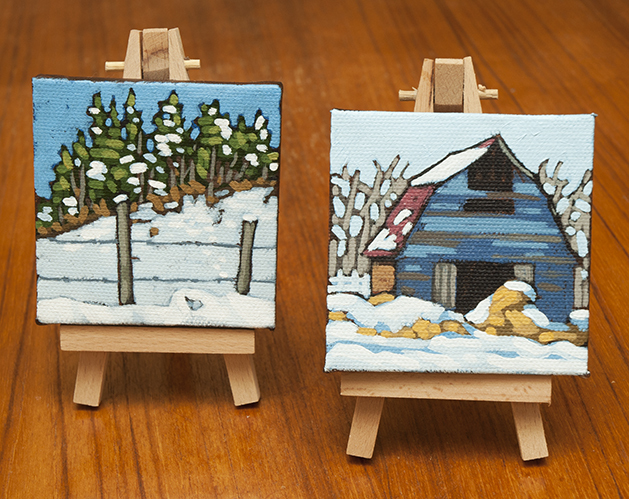 I gave away lots of little paintings for Christmas and I can’t seem to stop doing them. They do make perfect gifts!